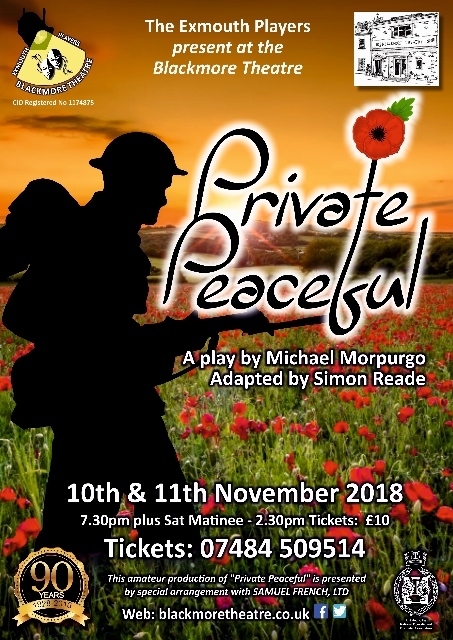 The Exmouth Players (CIO) present “Private Peaceful”, a play by Michael Morpurgo as adapted by Simon Reade, at The Blackmore Theatre on Sat 10th and Sun 11th November 2018, including a Saturday Matinee, directed by Alan Smith. Evening performances are at 7.30pm and the Saturday Matinee starts at 2.30pm. This presentation is in Commemoration of the Centenary of the End of the First World War. Private Peaceful relives the life of Private Tommo Peaceful, a young First World War soldier awaiting the firing squad at dawn. During the night, he looks back at his short but joyful past growing up in rural Devon: his exciting first days at school; the accident in the forest that killed his father; his adventures with Molly, the love of his life; and the battles and injustices of war that brought him to the front line. Price: £10. 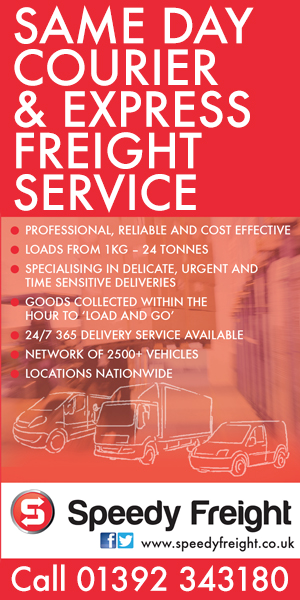 Please call Ticket Line 07484 509514 to book now. Buy 10 tickets and get one free. The Theatre Box Office opens daily from Monday 5th November 2018 – 9.30am-1.00pm. Our Theatre Box Office will be open about 45 minutes before each performance, but please don’t leave booking to chance. We always advise you to book in advance by contacting the Ticket Line (above). Our Theatre Bar will be open from 6.45pm (evening performances only), so why not pop along for a pre-show drink and order your interval drinks at the same time. The Bar will also be open at the end of each evening performance. Please click here or visit our Blackmore Theatre Facebook page for further information.